The Missionof The WTFC Organization is to raise funds that will aid research to ultimately find the cure for Breast Cancer. 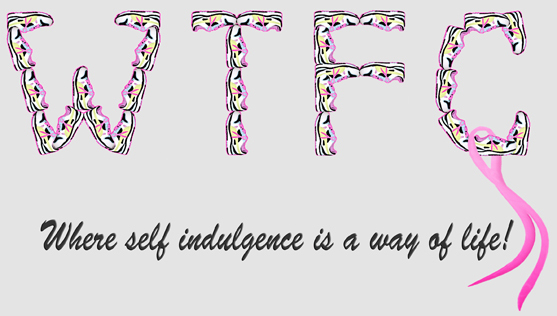 And while doing so, we hope to spread awareness through our "WTFC" message to live for today and "self indulge", because nobody really knows what tomorrow will bring! We have made a personal investment to support The WTFC. We have no overhead or paid employees, and intend to keep it that way. and The Cold Spring Harbor Laboratory! "Race for the Cure" and has proudly raised over $188,000 for the cause! Our board of directors reviews grant applications and carefully research's future contributions to other promising Breast Cancer Research facilities! Please help us fund the research to find the cure!